Neoss® has developed data libraries for use with 3Shape, Exocad and Dental Wings software to enable you to create your digital prosthetic design for Neoss. Neoss offer a quick and reliable scan and design service for those laboratories without a recommended scanner. Esthetiline –This soft tissue esthetic solution from Neoss®, with anatomical margins, is incorporated into Neoss data libraries to provide seamless design from healing abutments to final restorations. 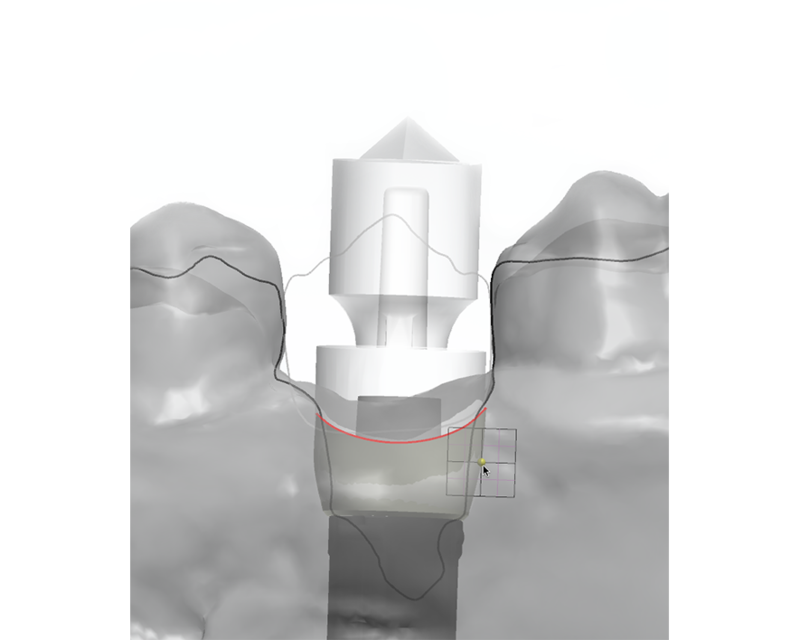 Angulated screw channel – Abutments can be designed with an angulated screw channel with up to 25° angulation and 360° rotational freedom improving handling and esthetics of the restoration. Digital prosthetic design offers flexibility in the handling of complex cases and manufacturing alternatives. CAD/CAM technologies save time and cut down costs by allowing for faster, more efficient and less labour intensive individualized restorations leading to improved treatment outcomes and patient satisfaction. Based on digital data from previous process steps, the full restoration can be planned, designed and manufactured at an early stage.